Using the equation of motion expression in a curved space proper time is a useful method to explain the relation between the curvature of space-time and the potential of any field obtained. 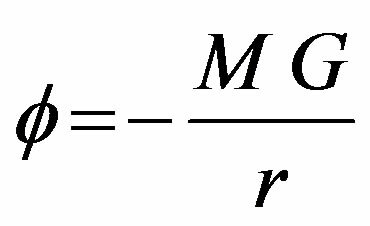 Taking into account the expression for the Hamiltonian density, the effect of fields, as well as the effect of motion, on the mass, and, their effect on energy is found. The new expression of energy reduced to the ordinary Newton’s energy expression. It also explains the gravitational red shift. Einstein’s theory of special relativity (SR) is one of the great achievements in physics. It makes radical modification in the concept of space, time, and energy. It explains a wide variety of physical phenomena, like pair production, photoelectric effect, and meson decay. Despite these successes (SR) suffers from noticeable setbacks. For instance, in the classical limit the energy expression for (SR) does not coincide with the Newtonian energy expression, since it does not include a term representing the potential energy. Moreover, the gravitational red shift of light indicates that the photon mass is affected by the gravitational field, which is in direct conflict with the fact that the mass in (SR) is not a function of the field potential. 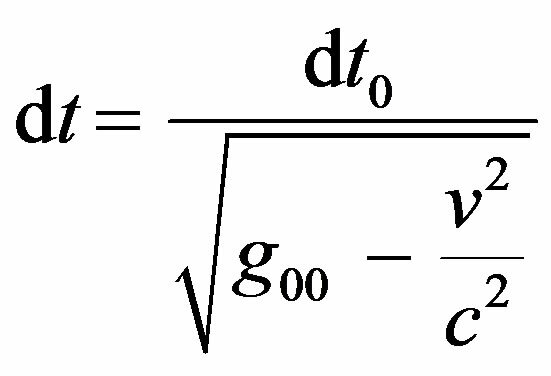 The same holds for the expression of time and length, in (SR), which does not recognize the effect of gravitational field in the weak limit, which is not in conformity with that of general relativity (GR), where time and length are affected by gravitational field . Many attempts were made to modify Special Relativity (SR) to include the effect of gravity and other fields [2-4]. These attempts concentrated on the motion of mass and energy without considering the influence of both fields and motion on time and length. Some attempts were also made to include the effect of curvature of space-time, on energy and momentum , but their expression of energy is incomplete, since they stem from the equation of motion instead of using the Hamiltonian. 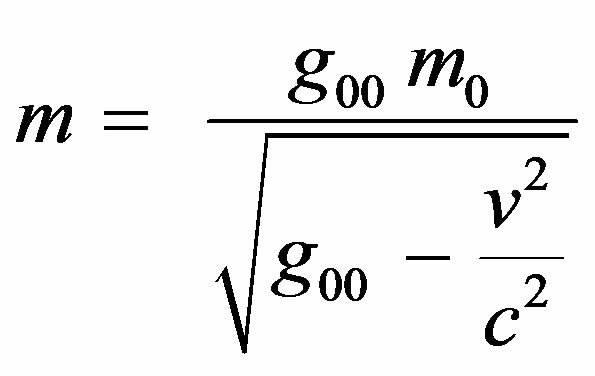 Generalized Special Relativity (GSR) is used by others  to find the effect of gravity on space and energy. In this work the equation of motion in curved spacetime is used to relate the potential of any field to the space-time curvature. 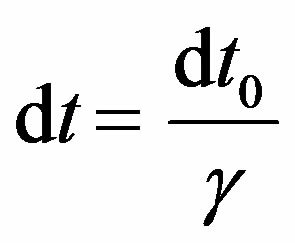 A useful expression for the mass and energy in the presence of any field beside the effect of motion is derived in Section 2. Section 4 is devoted for comparing the classical energy expression with the expression of energy in the classical limit for the model. where , and denotes the gravitational potential, or the field in which the mass is measured. 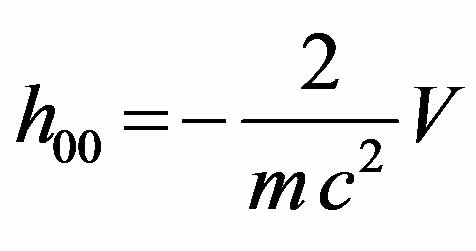 In the special relativity (SR), the time, length, and mass can be obtained in any moving frame by either multiplying or dividing their values in the rest frame by a factor . where v is the velocity of the particle, and c is the speed of light. It is convenient to re-express in terms of the proper time, associated with the impact of gravity on the previous physical quantities, (time, length, and mass) . where is the metric tensor, and, and denotes the contra variant (covariant) vectors. Which is a common language to both special relativity (SR), and general relativity (GR). We know that in special relativity (SR) Eq.3 reduces to: . where i denotes the particle position (covariant) vector according to Lorentz covariance. Thus we can easily generalize to include the effect of gravitation by using Eq.3 and by adopting the weak field approximation where . When the effect of motion only is considered, the expression of time in the special relativity (SR) is found to be . 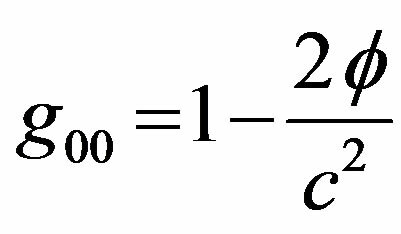 where the subscript 0 stands for the quantity measured in the rest frame. While if gravity only affect time, its expression is given by . 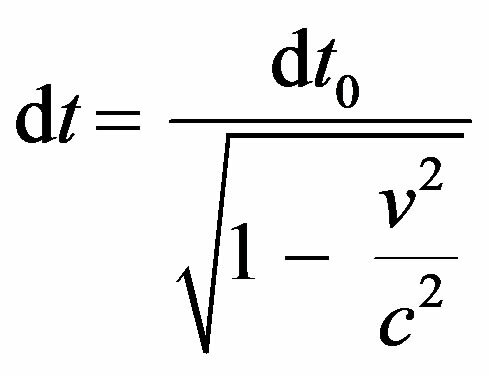 The same result can be obtained for the volume where the effect of motion and gravity respectively gives . 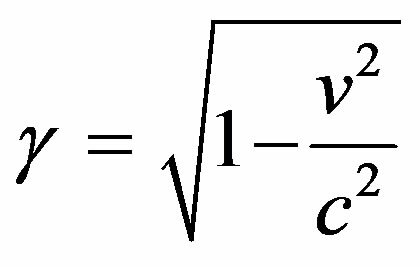 To generalize the concept of mass to include the effect of gravitation we use the expression for the Hamiltonian in general relativity, i.e. .
where H is Hamiltonian, is the density, and is energy tensor. 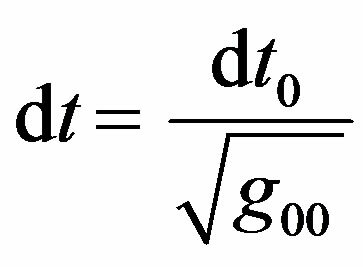 Which is the expression of mass in the presence of gravitational potential and it named the generalized special relativity (GSR) theory. 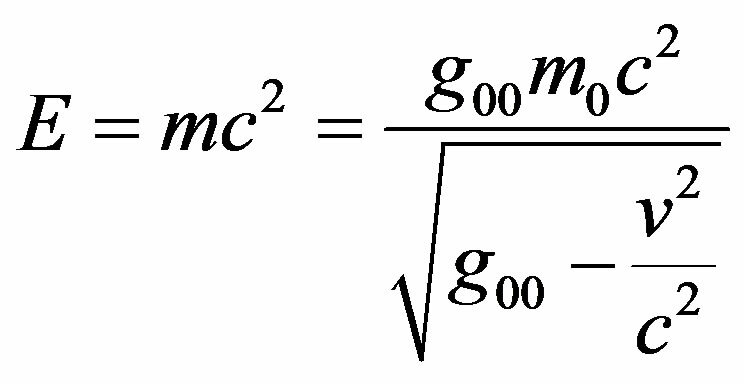 The expression of time length and mass in General Relativity (GR) can be generalized to include all other fields by proving that the space can be curved by all fields, the first approach is based on general relativity (GR) while the second is based on the standard model. It is important to note that Eq.18 and Eq.19a indicate that the curvature of space-time is affected by acceleration and speed only, and have nothing to do with the mass. 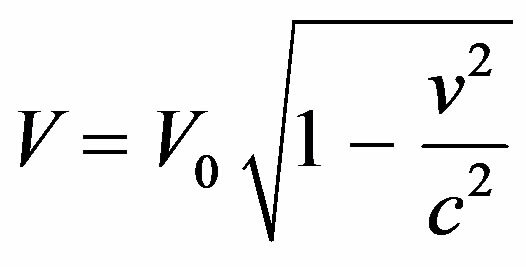 On the other hand the lagrangian L of matter in the presence of a field of Ф is a function of x and Ф, i.e. The mass m is part of this lagrangian through the reined term. Therefore m is a function of x and Ф, too, i.e. It is important to note that Ф here is the potential per unit mass for any field. The relation between fields and space deformation can also be determined from the standard model of electro weak interaction (SM). Indicates that time, mass and energy are affected by all fields. This means that the gravitational red shift can be explained with the framework of our model . 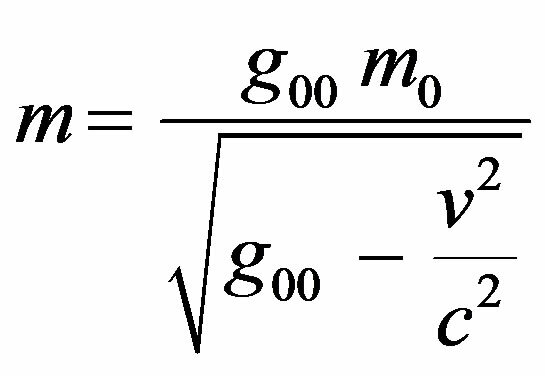 The effect of gravity as well as motion on time, volume and mass shows the dependence of them on the potential on the same footing as velocity. Unlike SR the expression of energy include the potential energy when the classical limit is considered. It is very interesting to note that when the effect of gravity alone is considered on mass as shown in Eq.16 the mass increases which indicate that the field increase the mass. The generalized expression of time, volume, mass, and energy in which the effect of fields on them is present through the metric is also exhibited. The expression for minimum energy and minimum potential indicate that the ground state energy contains both the mass of both particle and antiparticle agree with the Dirac relativistic quantum theory.